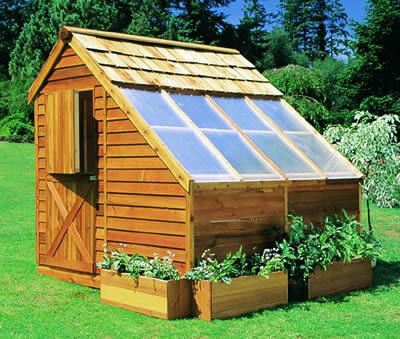 The Red Cedar Sunhouse makes an ideal greenhouse or hobby house with its convenient rear window and two-part interchangeable Dutch door. Whether you are a new or avid gardener, the unique design of the Sunhouse offers the ultimate in garden flexibility. Available in 8' x 8' or 8' x 12' models.